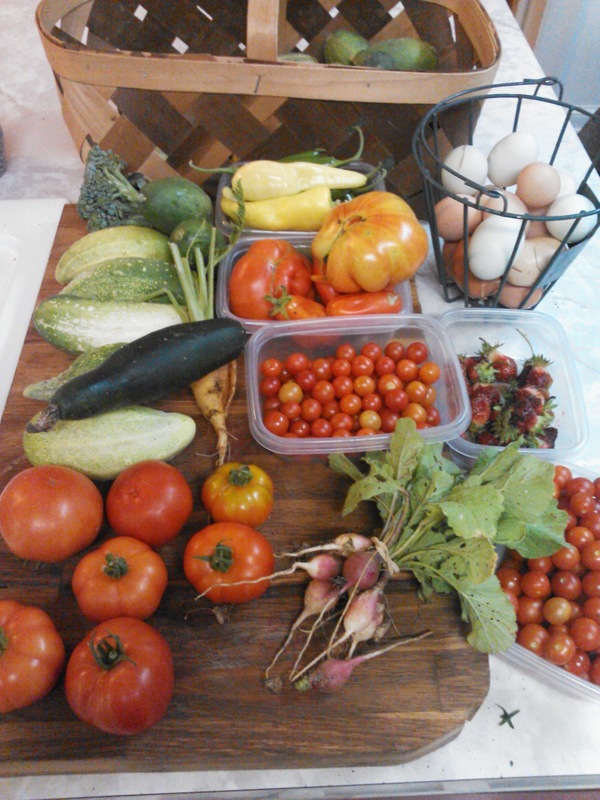 We are now accepting registrations for our Friends and Family CSA program. We feel that it is important to only offer the food that is raised on our property by us, so we are offering a smaller, less risky CSA program. First, what is a CSA you ask, well CSA stands for Community Supported Agriculture, meaning that the community the farm is located in supports the farm. With a CSA program you are purchasing a share in the harvest for that year, meaning each week you will get a box of your share of whatever is harvested that week. The goal is that each week you will have a minimum of 5 items in your box. Keep in mind, this means you will not get watermelon in May, or pumpkin in June. However, you will get the freshest produce, picked in the peak of the season for the best quality and flavor. How our Friends and Family program is different than a conventional CSA is that we are asking for a small down payment at the beginning of the season and then you will pay us each week for the items you recieve. If we have a massive crop failure and can not deliver an item, you do not pay for it. This reduces the stress on us, and limits the risk for you. We will do our very best to offer a variety of foods. You will not get a box full of just beets, I promise. The program will run for 20 weeks. We will deliver the first box, the first week of June and the last box is mid October. Downpayment is $100 and you will pay $20 per week when the box is delivered. If you would like to add eggs to your box they are $4 a dozen. Down payment is due by May 10th and we only have a limited number of shares available, so let us know if you are interested, either message me on Facebook or fill out the contact Us form. I will email you the registration form. Below is a sample of what will be in the boxes through out the summer. Once the season gets into full swing, we will try and provide a green, a root vegetable, an herb, a gourd, tomatoes, and peppers. This is just an estimate, what is in the box is 100% dependant on what is harvested that week.